亚马联主席领衔签署亚洲马文化运动旅游联合会倡议宣言 - 中国马术网 - Powered by Discuz! Asian as one of the origin of horse, so with the origin of horse culture tradition contains most abundant equestrian tourism resources. The Federation is a non-governmental organization (NGO) sponsored by relevant associations (or organizations and units) in various countries and regions in Asia. 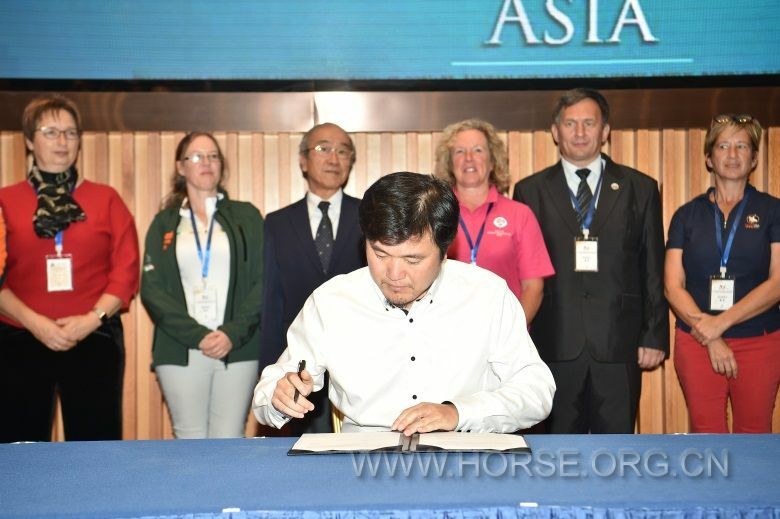 It aims to promote exchanges and cooperation, between Asian countries and regions, so with Asia and the world in the horse cultural tourism. According to the guiding thought and principle of One Belt and One Road advocated by the Chinese government, and in light of the relevant business model of the FITE, The Federation should establish its own corresponding position, development orientation and aim of future, in reference to the valuable possession valuable possession such as geographical, cultural and tourist in the Asian region. 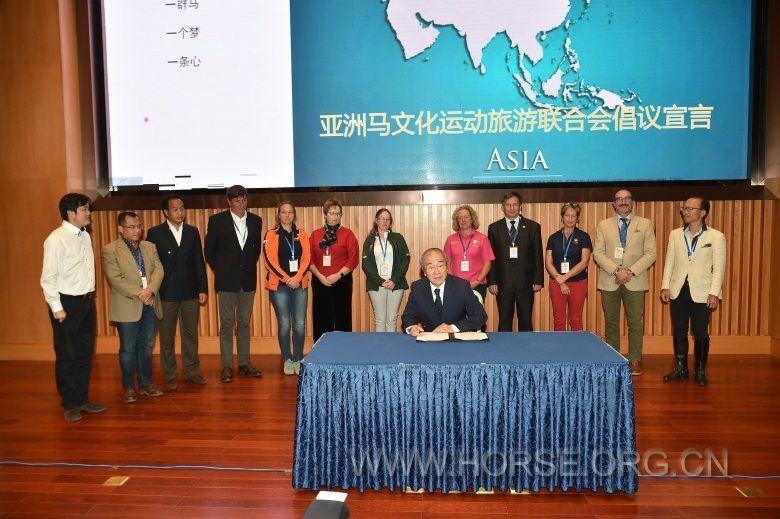 The establishment of The Federation should play an active and extensive role in promoting exchanges, sustainable soundness and stable cooperation and development in of horse culture, tourism, commerce and trade, information and other fields among countries in Asia and the world. 1.Promote horse culture tourism in Asia. 2. 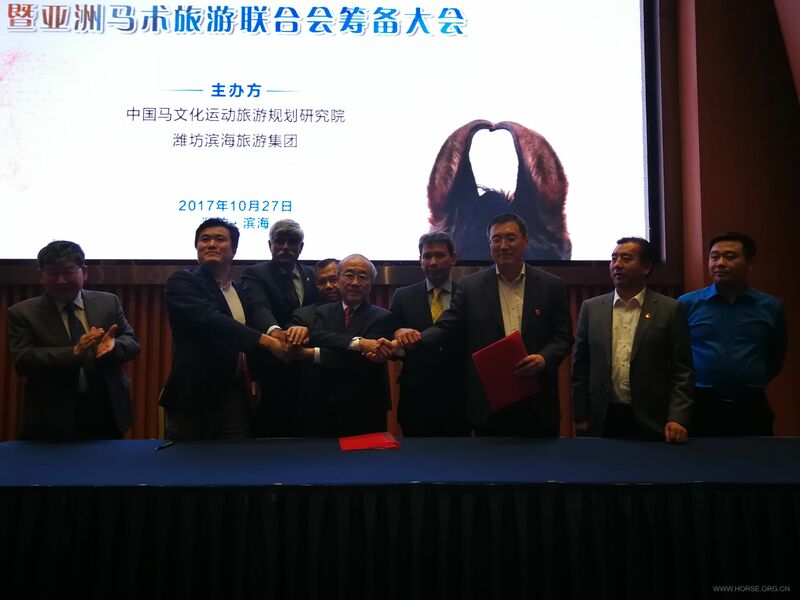 Initiate and promote exchanges between countries and regions in Asia around the fields of horse culture, sports, tourism, environmental protection, education. 3. Assist members in establishing an industry standard system for equestrian cultural tourism sports projects and conduct evaluation and certification in accordance with the standard system. 4. 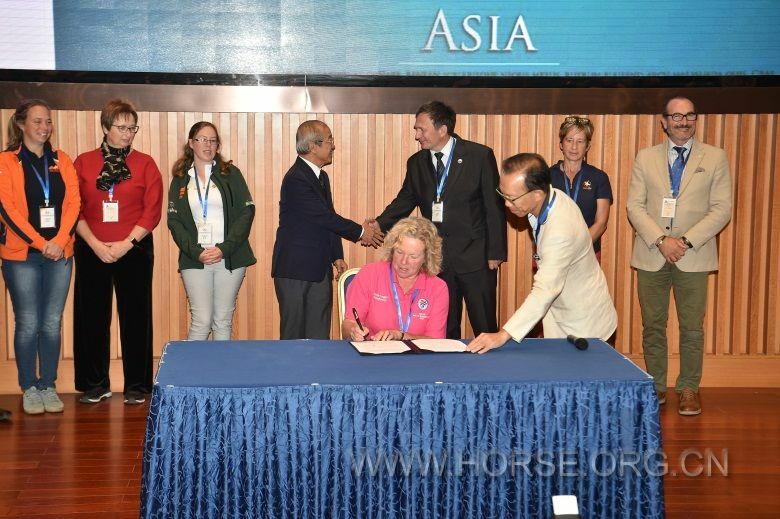 In accordance with the International Equestrian Cultural Tourism Association (FITE) and the International Equestrian Federation (FEI) related equestrian rules, formulated and standardize the rules of horse culture tourism events special to Asia. 5. 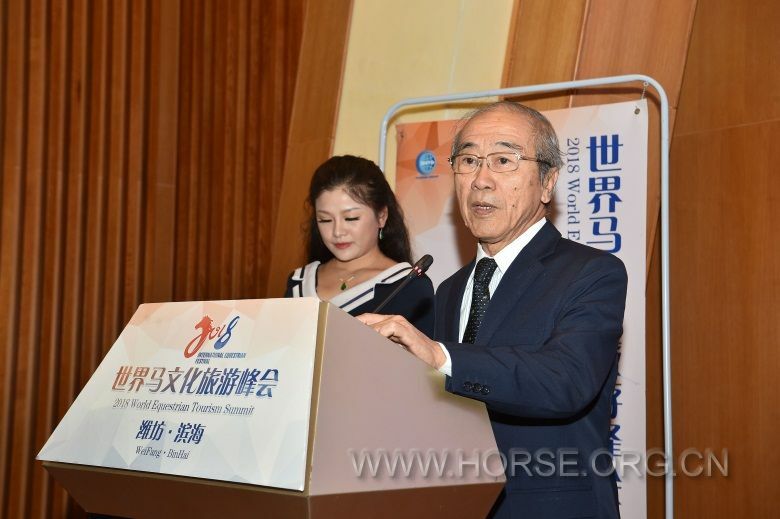 Participated in the World Equestrian Tourism Federation and accepted relevant activities organized by the World Equestrian Tourism Federation to conduct international exchanges and technical exchanges. 6. Formulate a technical hierarchy for equestrian culture tourism industry players. Responsible for the registration management and qualification review of industry members. Responsible for talent training in the industry. In accordance with the relevant provisions of this Council, we will train all types of personnel, and be responsible for selecting and forming a reserve talent team and conducting training. 7. Organize the scientific and technological research and technical research of the equestrian culture tourism. 8. 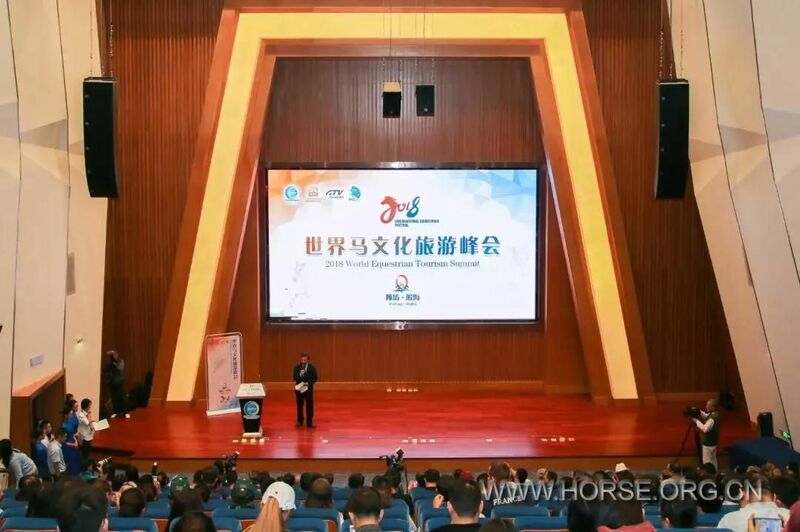 Organizing the promotion and press release of the equestrian culture tourism campaign, and editing, publishing, and distributing various types of graphic and electronic media related to the equestrian cultural tourism. 9. Promote understanding and cooperation among member states, support them, and strengthen their authority and prestige. 10. Encourage member states to organize horse culture tourism events, provide technical guidance and upgrade the level and standards of the event. 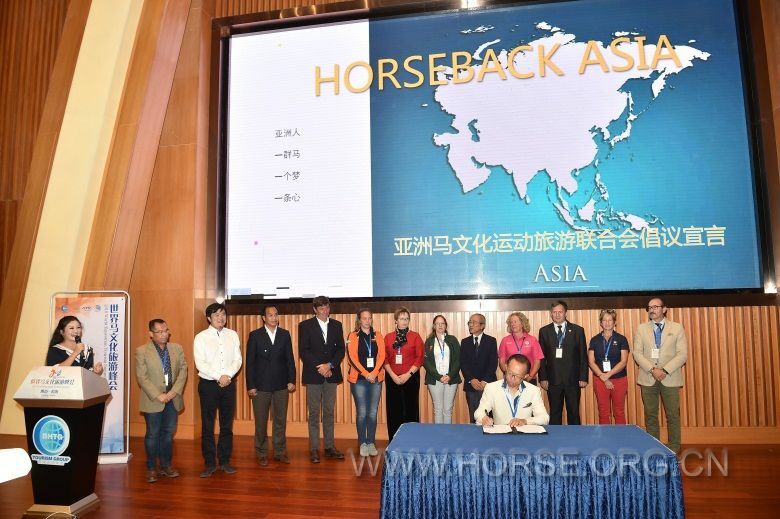 In order to make our Asian horses and riders more robust, for our Asian horse culture to be better inherited and developed, and for our Asian people to have a more exciting and better life, we advocate equestrian enthusiasts, cultural and artistic hobbies in Asian countries. 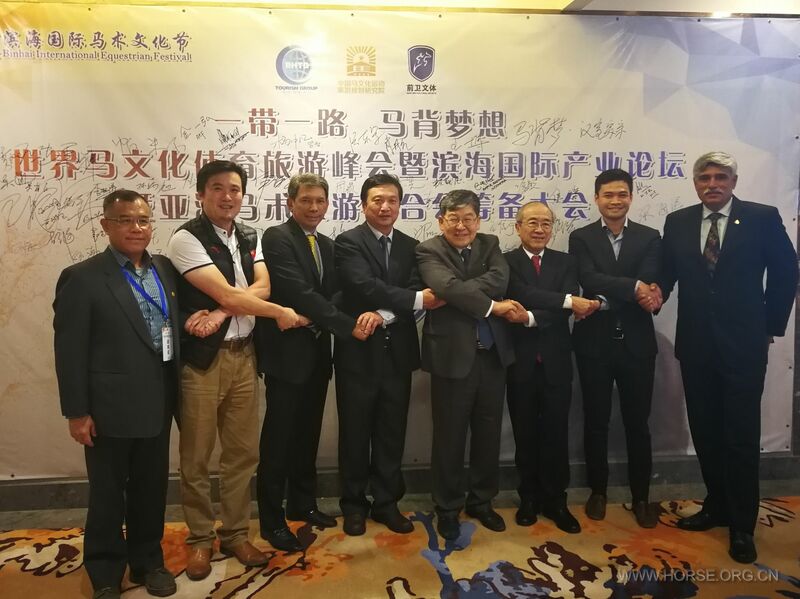 And outdoor sports travel enthusiasts, participate in the horse culture sports tourism activities, jointly initiated the formation of equestrian cultural tourism organizations in various countries and places, and joined the family of the Asian Horse Culture Sports Tourism Federation. Let us experience the beauty of Asian culture and nature and the happiness, health and beauty of life on horseback! GMT+8, 2019-4-19 01:01 , Processed in 0.117682 second(s), 35 queries .